Scuba Diving gave me the opportunity to make my work from my passion! 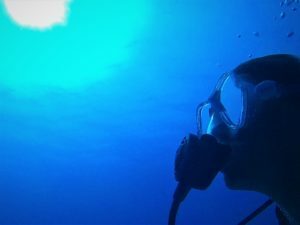 After my first ´Discover Scuba Dive´ during a holiday in Turkey, I straight knew I found a new passion. 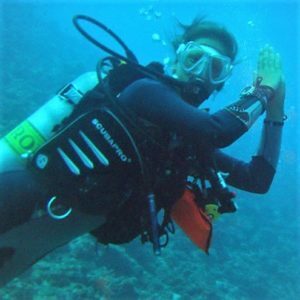 It took however 2 more ´Discover Scuba Dives´, during other holidays before I finally had the money and time to do my first Open Water Course. During my work for a touroperator called ´Diving Adventures´ in the Netherlands, I was invited to Egypt and did my Advanced Open Water Course in Dahab in 2004. There I made a clear decision for myself: I´m not an office girl and I want to become a diving instructor. You can read the full story of how I become a scuba dive instructor by clicking here. 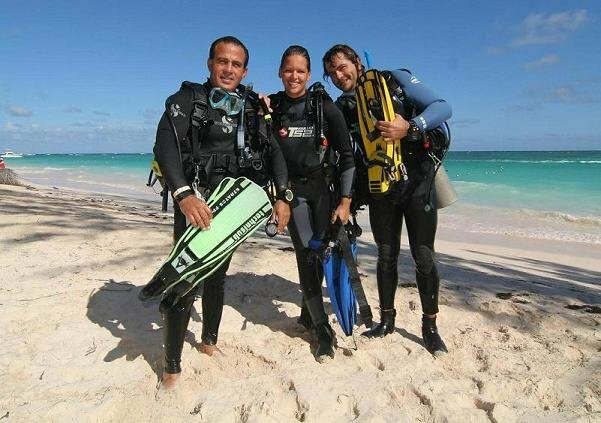 PADI MSDT (Master Scuba Diver Trainer) – rating, after qualifying 25 Open Water Students. Thailand: Phuket Island, Hat Nai Yang; Koh Lanta Island, Koh Haa, Koh Lipe Island and Phi Phi Islands. Currently, I´m not working as a diving instructor but I am motivated to help anyone to make the step and become an instructor since it was one of the best things I have done in my life so far. I was able to work in all these countries, make my dreams come true and combine one passion with my other passion: travelling! Also, I met so many new friends all over the world, who I still get to see again on a regular base, either accidently or planned. It´s amazing, working as an instructor over the world has opened a brand new world for me and made our planet earth at the same time much smaller but not less beautiful! Besides of being motivated to help other people become either a diver or to ´go pro´, I also like to share information and stories about all the wonderful places I dived so far. I´m in the process of becoming a PADI AmbassaDiver and I am a contributor to The Scuba News. It´s a small world after all: small enough to keep meeting friends on the most unexpected places but still big enough to discover many new places and great spots to dive. Click here for my splashpacker Facebook page or here for my Instagram account.